Andhra Pradesh, the south eastern state of India is famous for red chillies, rice and many local spices. The Andhra Cuisine is a colourful, spicy and tasty celebration for our eyes and our taste buds too! The eastern coast provides plenty of seafood and hence there are many seafood recipes from this state. Andhra Pickles are famous and well known world-wide. Made with red chilli, fenugreek seed powder and raw mangoes or other varieties of fruit or vegetables, the pickles are spicy and a great companion to any meal – with rice or naan. These pickles are prepared once in a year, stored in the eye-catching jars and enjoyed all the year round. The seasonal pickles like ‘Avakaya’ (Mango spiced pickle) and ‘Gongoora’ are even exported to many countries. Not only they are taste, but also addictive too! The curry of Andhra is called ‘Koora’, that is prepared with fantastic sun-dried red chillies, locally grown spices and herbs. 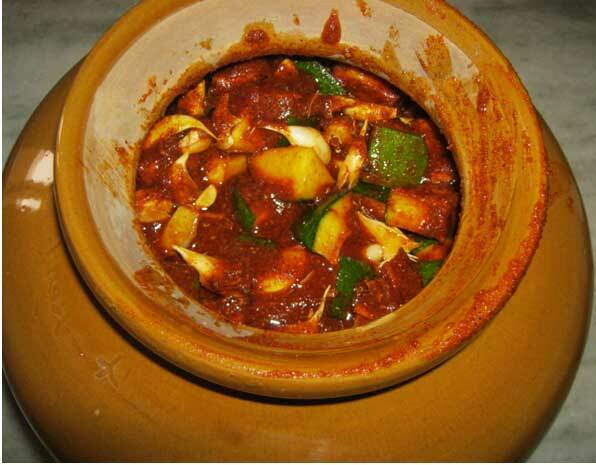 Andhra Cuisine is considered as one of the richest and spiciest cuisines in the world. Why not try the Andhra recipes and see whether you can handle the heat?